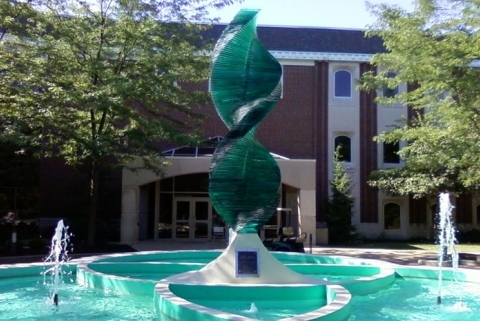 The Helios fountain (designed by Arlon Bayliss), which sits outside of Hartung Hall (the science building) at Anderson University. The statue is meant to represent DNA. No, I am not going to earn another degree. You can’t teach this old dog any new tricks. However, for the first time since 1995, I will be teaching a college chemistry class. I have to admit that I am a bit nervous about it, simply because it has been so long. Of course, I am also excited about it for exactly the same reason. While I truly enjoy interacting with students over the internet, it will be fun to go back to the classroom and interact with students who are right there in front of me! It’s not that I never get to interact with students in that way. After all, I travel to all sorts of homeschool conventions where I get to interact with lots of students and parents. Indeed, one of my favorite convention experiences was a session where I did nothing but answer student questions. In addition, I have been a guest lecturer at many universities, both in the U.S. and other countries. However, it has been nearly 20 years since I spent an entire semester teaching one group of students. Whose students will be subjected to my presence for an entire semester? The science majors at Anderson University, about which I have written before (here and here). It is one of the few Christian universities at which I would be comfortable teaching, because it doesn’t have a long list of beliefs to which its professors must subscribe. Instead, it takes the mission of a university seriously – to tackle tough questions in as open-minded a way as possible. I have added a new blog category called “College Chemistry,” in the hopes that I can write about my experiences over the course of this semester. I really have no idea whether or not I’ll actually do that. I’ll just have to see how it goes. As a final note, this doesn’t mean I am making a change in my career’s focus. 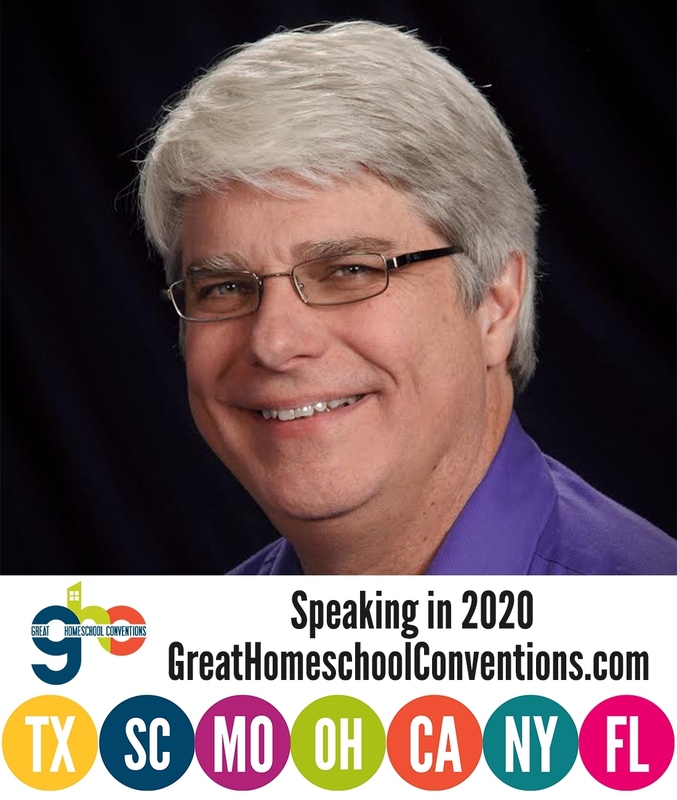 I believe God has called me to work with homeschoolers, and I will continue to write and speak for them. This is (most likely) a one-time thing. It fills a one-time need that Anderson University currently has. Well now I want to go back to college so I can take chem from you! You should think about some sort of video course that people like me (middle aged scientist wannabees) can take. That’s an interesting thought, Jennifer. I will consider it. I have taught your General Science, Physical Science, and Biology courses, and have loved teaching each one. For the past five years I have taught English and Logic. This year I get to teach General Science again, and I am thrilled to be using your text. My students are in Module 1 and we are all loving our “time” with you. Because of your material and approach, I came to love science. I did NOT like science in all my school years. My students are loving it too! I wish you all the best as you teach at Anderson this year. My students tell you “hi” and thank you for writing our textbook! Thanks so much, Barbara! Please tell your students “hi” from me! Any openings to teach physics at AU? Just kidding, I know the feeling of going back to school. Just remember the worst they can do is … You’ll do fine! I was wondering if you have any recommendations for someone who wants to earn an online degree. I’ve been looking around at Christian Colleges and the online degrees are very limited. I’m very interested in the sciences, and also in religion/philosophy. I was looking around at College Plus. Are you familiar with them? Kendall, it is very hard to get most science degrees online. You really need to have a lot of lab experience to get most science degrees, and you don’t get that online! I am familiar with College Plus. For some degrees, it works really well, but I don’t think it does for science. Now, in partnership with Thomas Edison College, they do offer a BA in biology. However, I would be a bit skeptical of it. College Plus does offer religion degrees, but no philosophy degrees as far as I know. I think College Plus is a better alternative than most online schools, since I think they give you a very personalized approach. However, if you are seriously considering that route, I would also consider Western Govenors University. It is not Christian, but I think it is the most student-focused of all the online schools with which I am familiar.